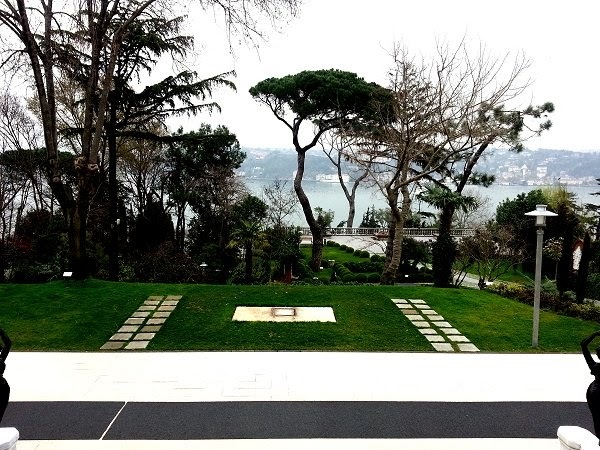 Another freezing cold misty day in Istanbul, and rugged up I head off by bus to the suburb of Emirgan nestled on the shores of the Straights the Bosphorus. 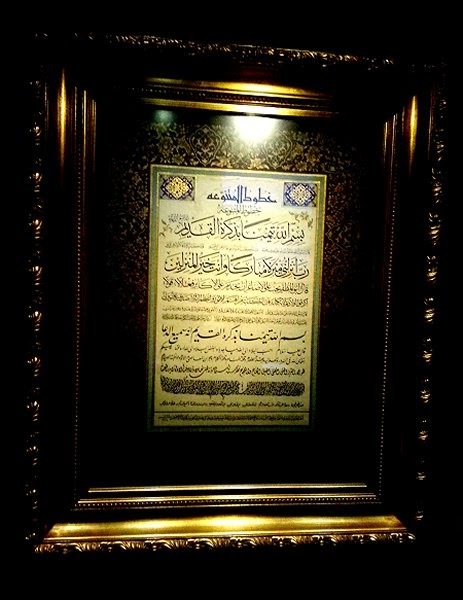 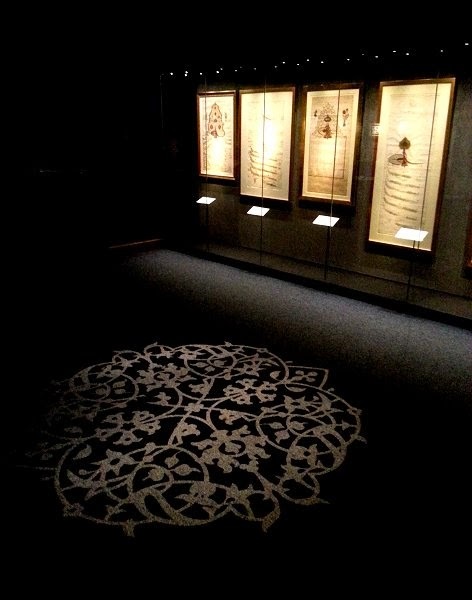 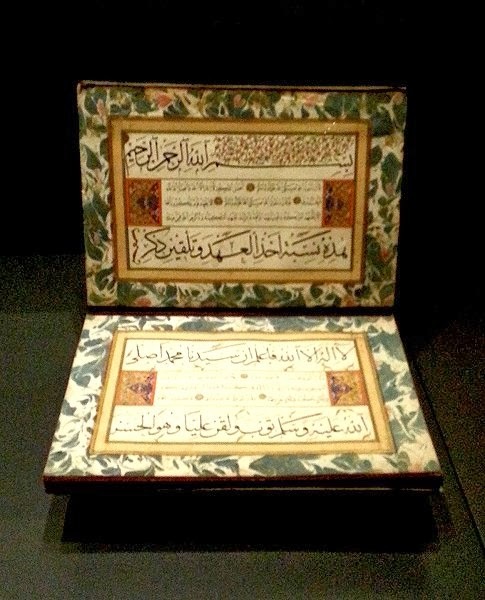 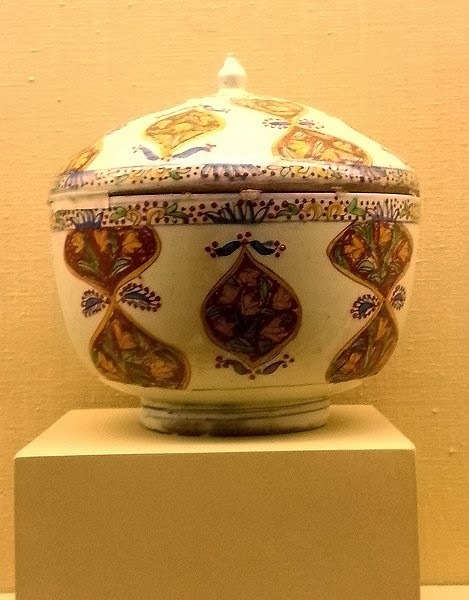 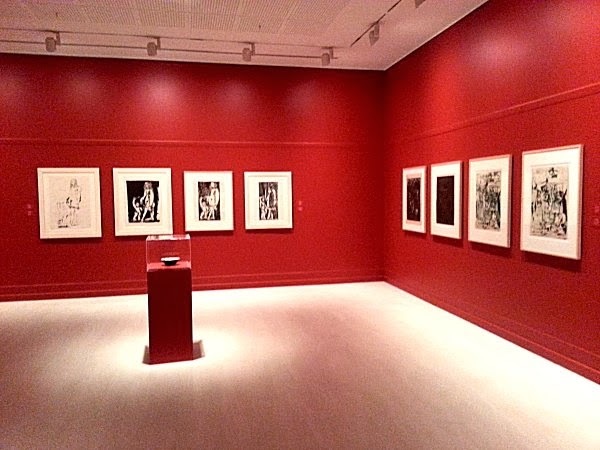 The attraction here is a calligraphic exhibition at the Sakip Sabanci Museum. 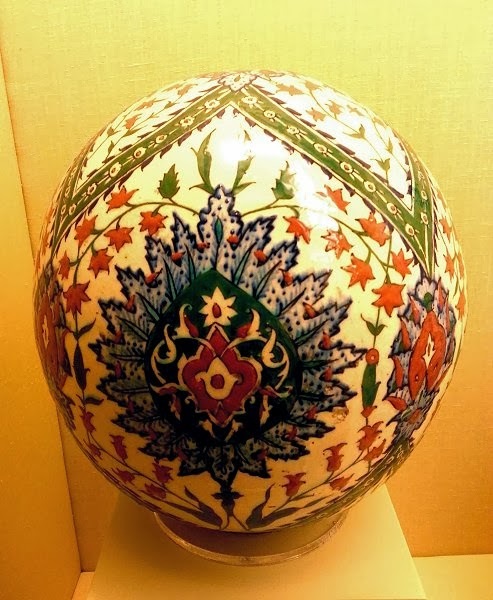 This is a private fine arts museum dedicated to calligraphic art, religious and state documents - as well as paintings of the Ottoman era. 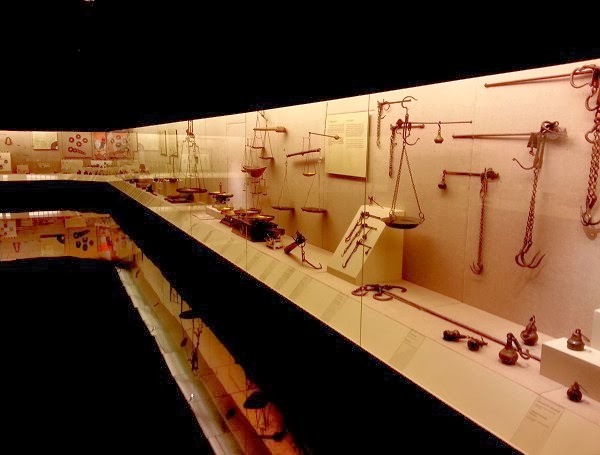 The museum was founded in 2002 by Sakip Sabancı. 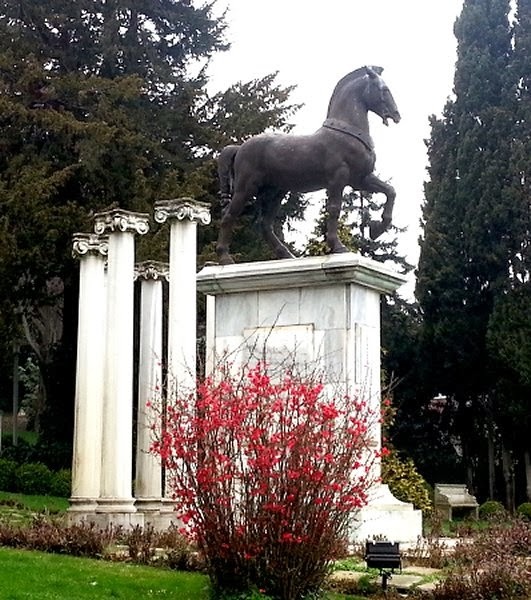 The historical building belonged to several high ranked pasha families until 1884, when it was purchased by the Ottoman Treasury on the orders of Sultan Abdulhamid II and presented as a gift to King Nicola I of Montenegro. 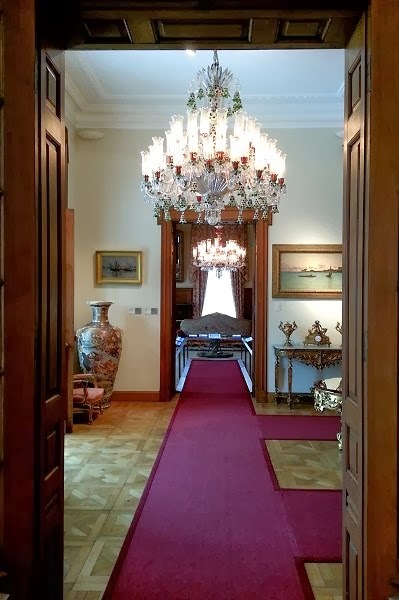 The mansion served the next 30 years as a royal residence and embassy of Montenegro. 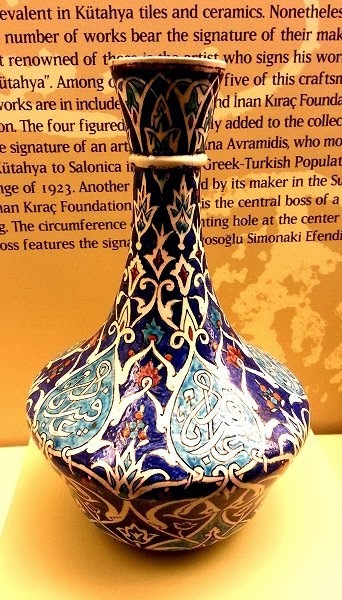 In 1913, the Ottoman government repossessed it, and it became the home of Sultan Mehmed V 's granddaughter. 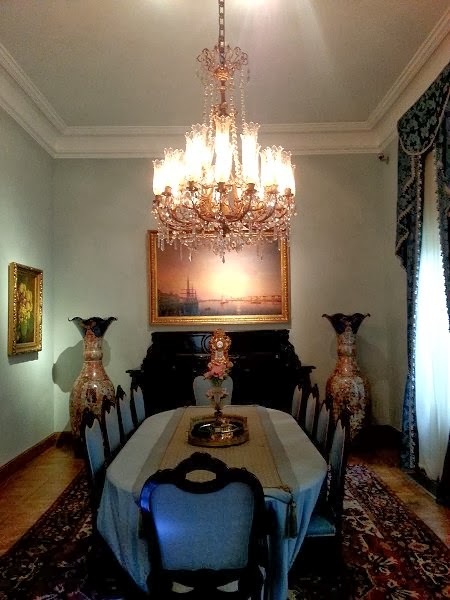 After the foundation of the Turkish Republic, Prince Mehmed Ali Hasan, grandson of Khedive Ismail Pasha, purchased the then the derelict house and commissioned the architect Edouard de Nari to build the present house. 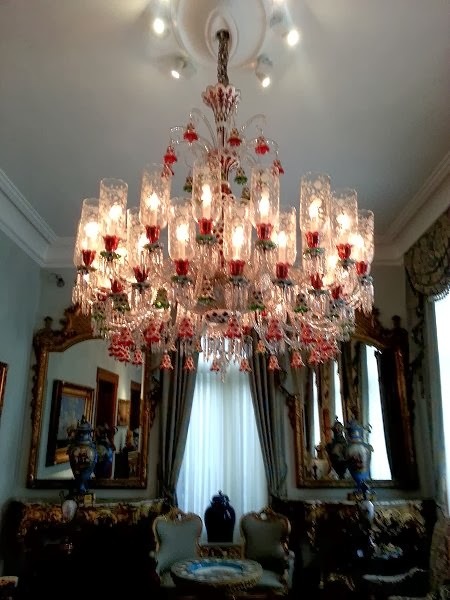 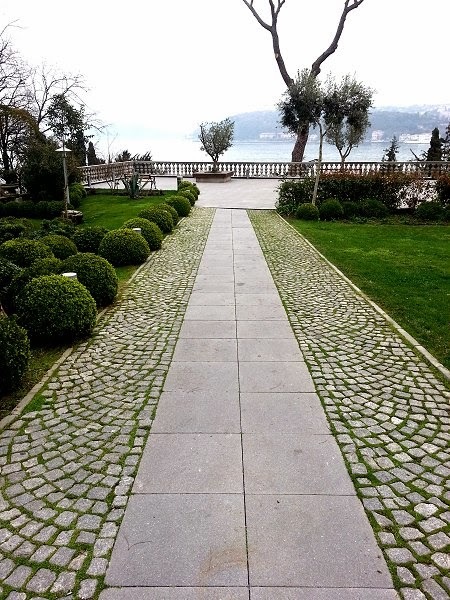 However, it Remained unused for many years until in 1951 when Hac Omer Sabanci - the father of Sakip Sabanci - purchased the mansion as a summer retreat for his family. 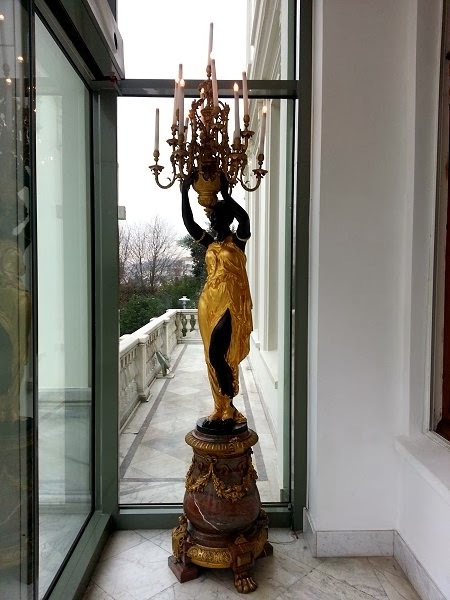 Inside the mansion entrance gate Hac Omer Sabanci placed the bronze statue of a horse he purchased at an auction - the statue was designed by Louis-Joseph Daumas in Paris in 1864 - the house then popularly became known as Becema Equestrian Villa (Equestrian Villa). 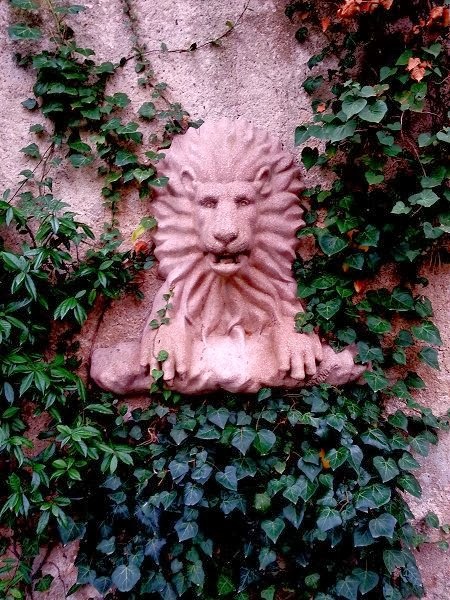 He and his family lived in the mansion until he died in 1966. 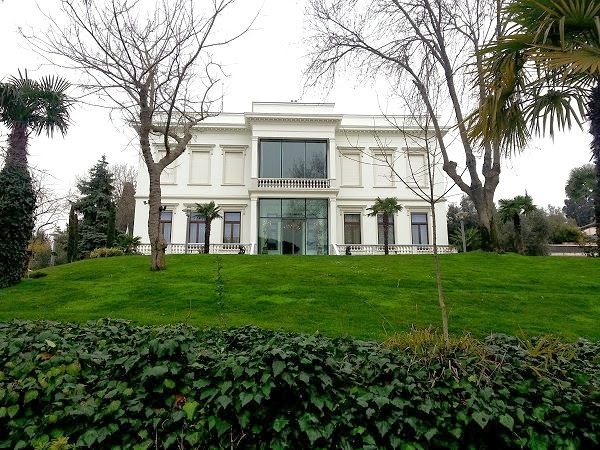 The mansion then became home to Sakıp Sabancı and family between 1969 and 1999. 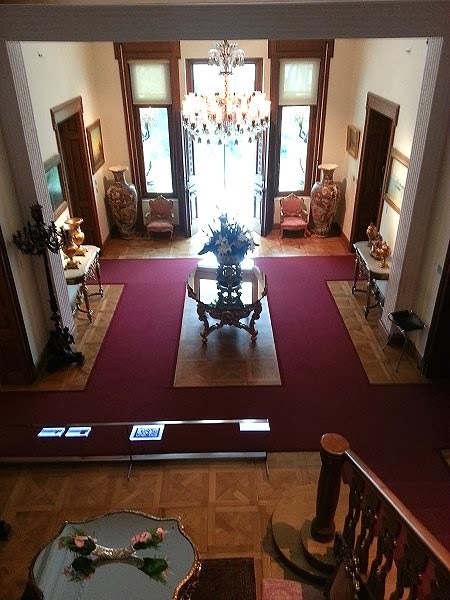 In 1998 the mansion was leased for a period of 49 years to Sabancı University, along with all the antique furnishings and art collections. 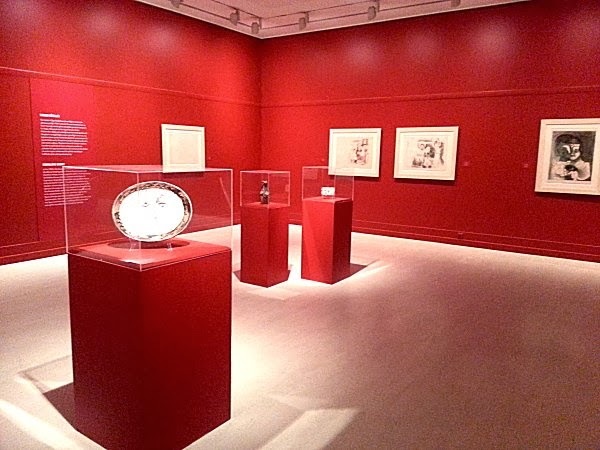 Today, the original mansion and a modern annexe gallery hosts extensive collections of 19th and 20th century art. 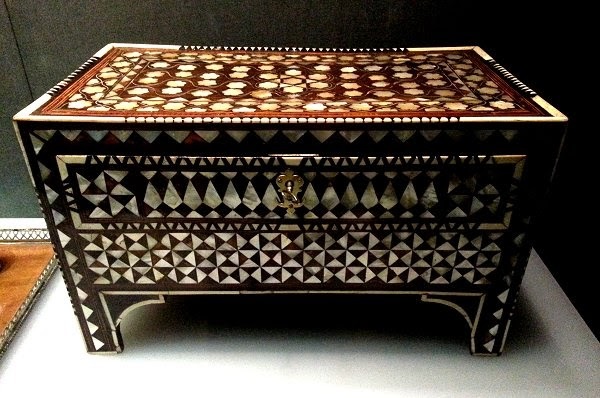 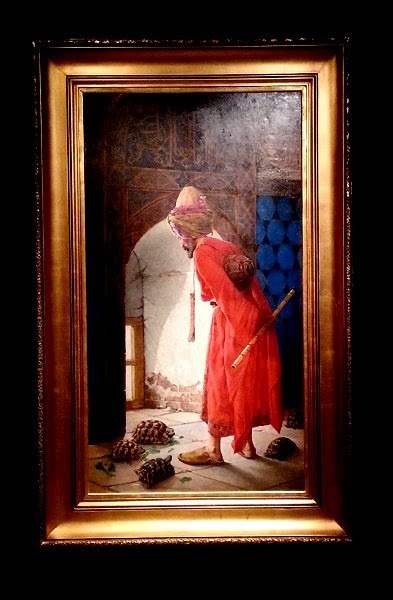 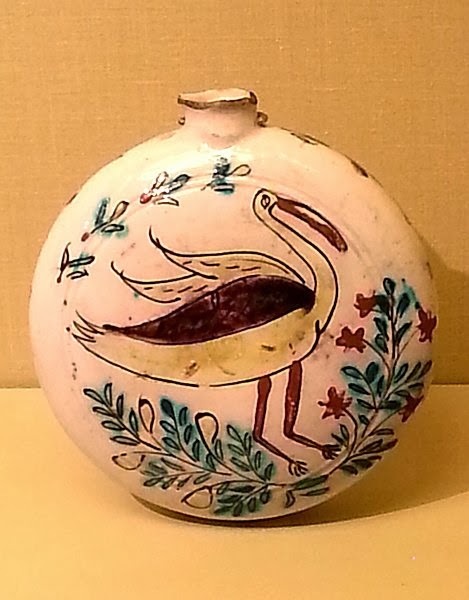 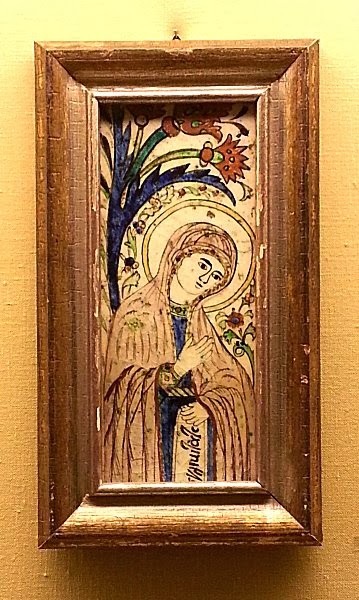 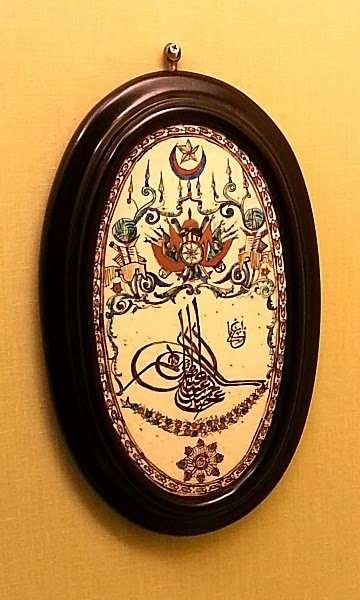 Haci Omer Sabanci began collecting decorative art works consisting of figurines, metalwork, porcelain, objects d'art and furniture in 1940, and since 1970 Sakıp Sabancı has expanded the art collection of his father. 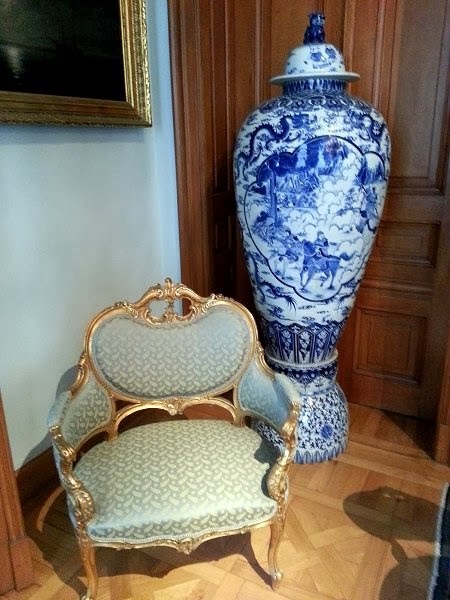 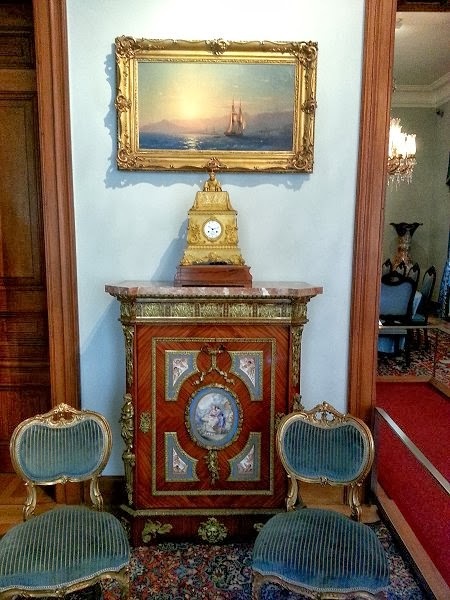 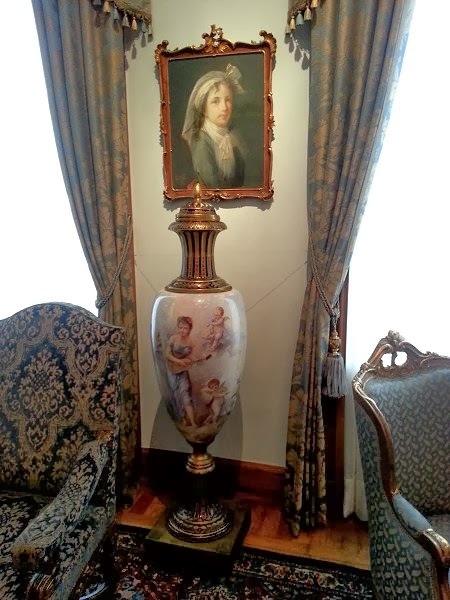 Three rooms on the entry level of the mansion are preserved with the furnishings and objects of decorative art of the 18th and 19th centuries that were in use during the period when the Sabancı Family resided there. 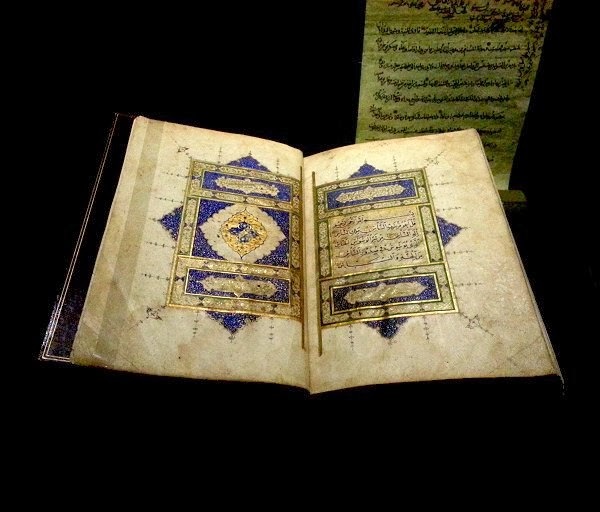 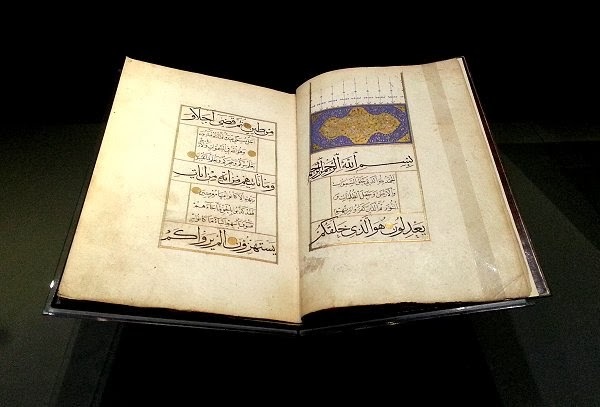 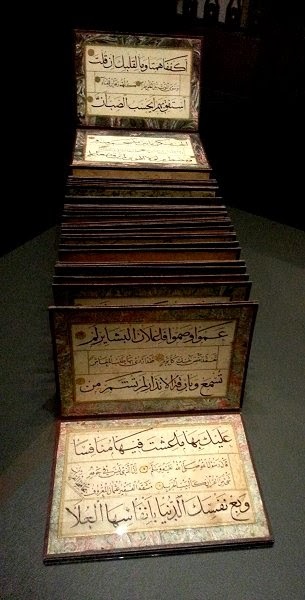 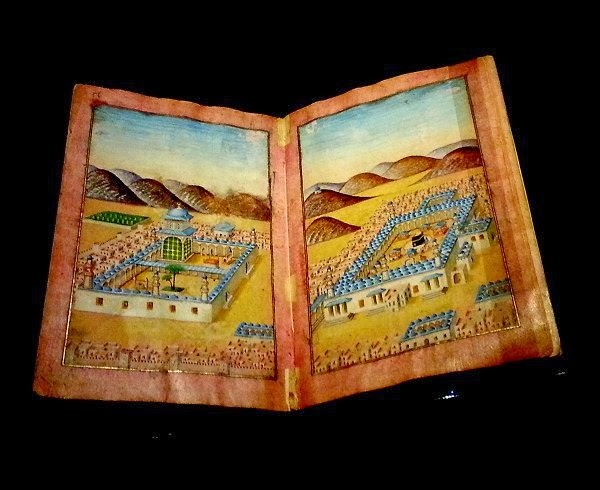 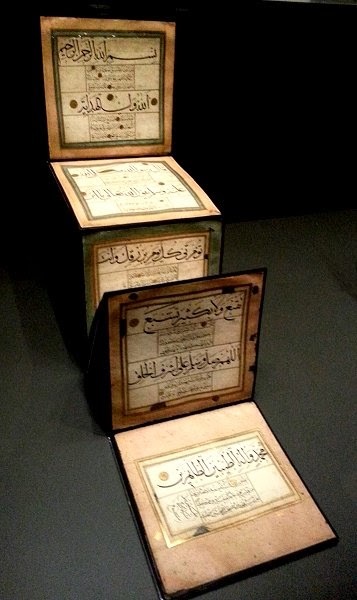 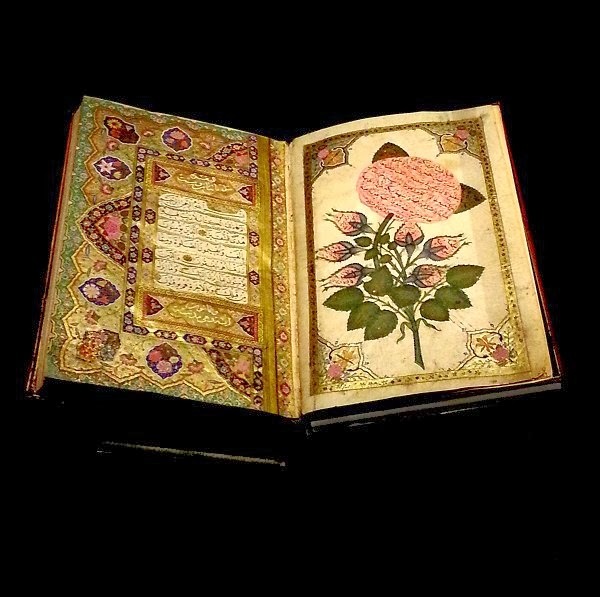 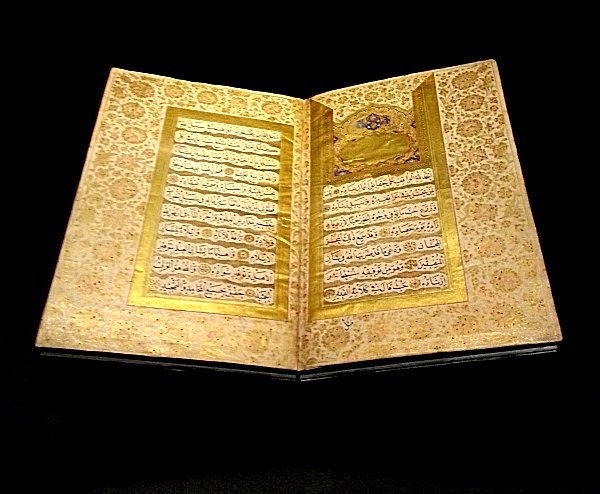 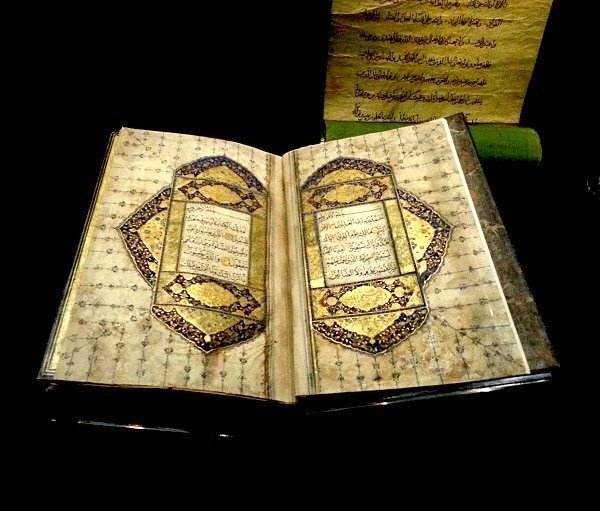 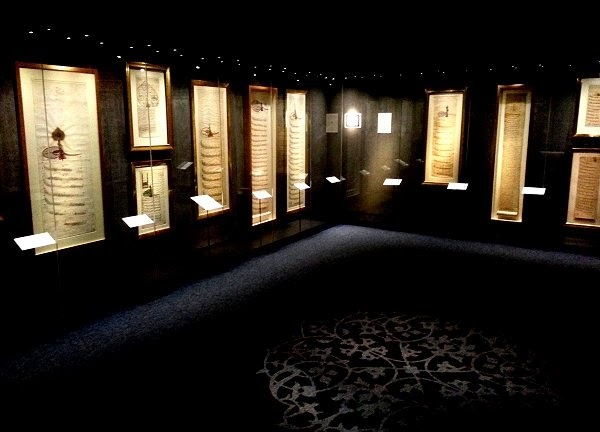 The Sabanci collection consists of illuminated Korans, prayer books, calligraphic compositions, albums and panels written by well-known calligraphers, illuminated official documents bearing the imperial cipher of the Ottoman sultans, as well as calligrapher's tools - all produced during a period from the end of the 14th century to the 20th century. 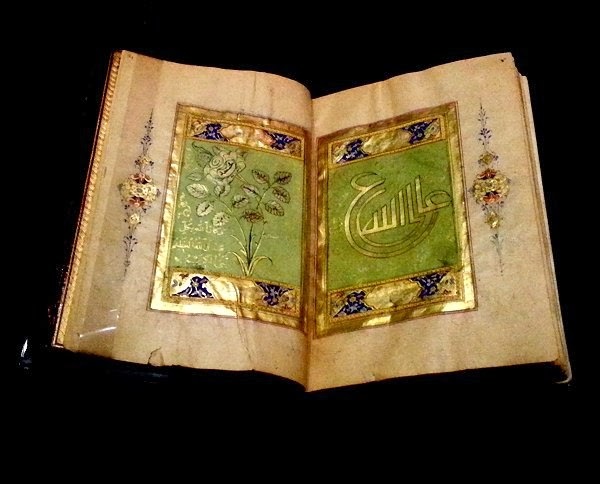 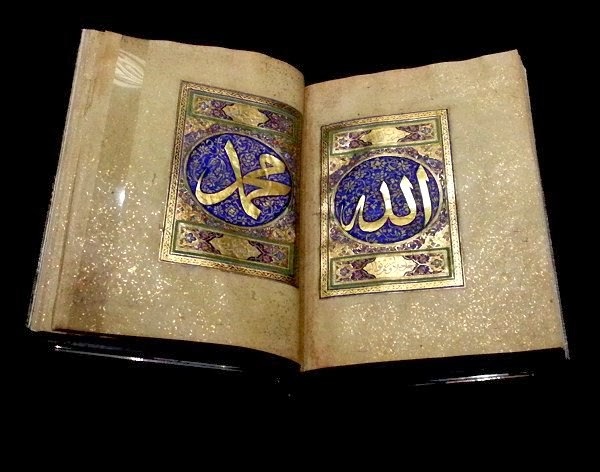 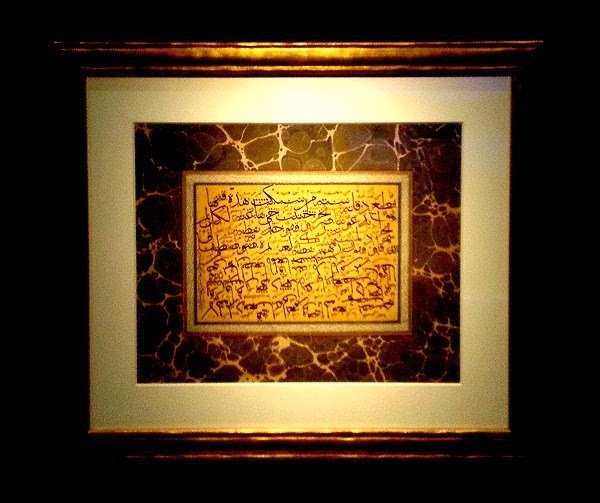 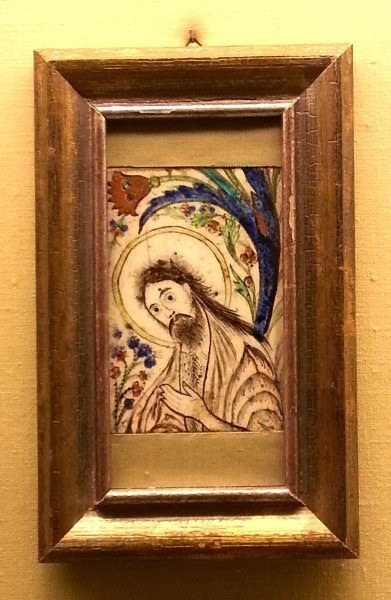 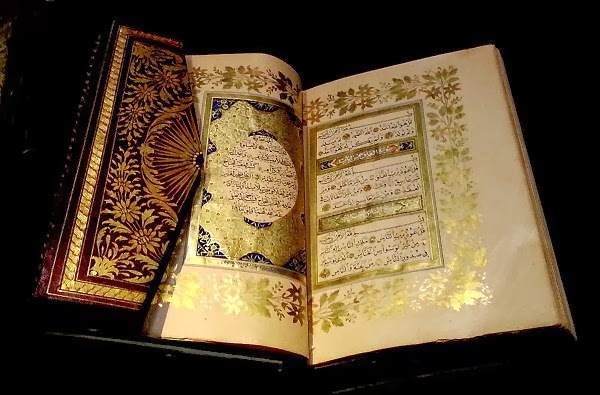 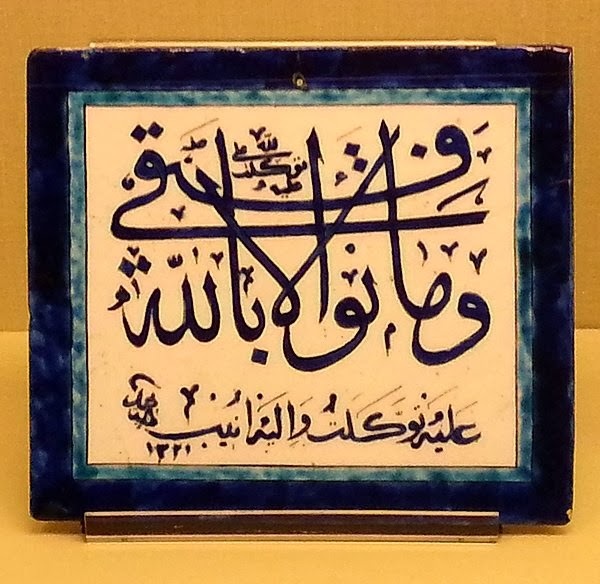 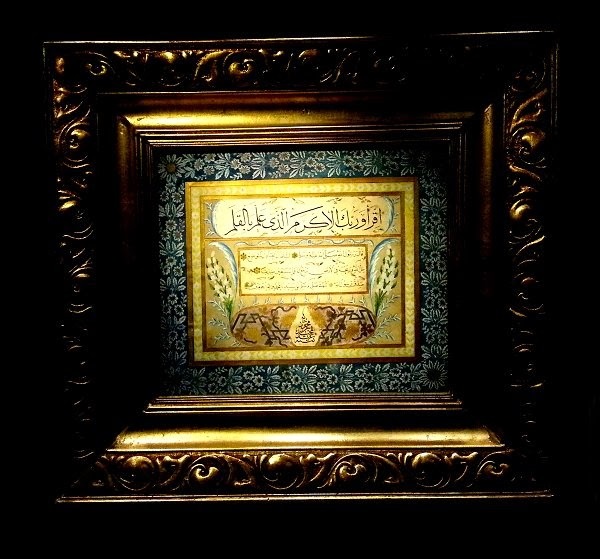 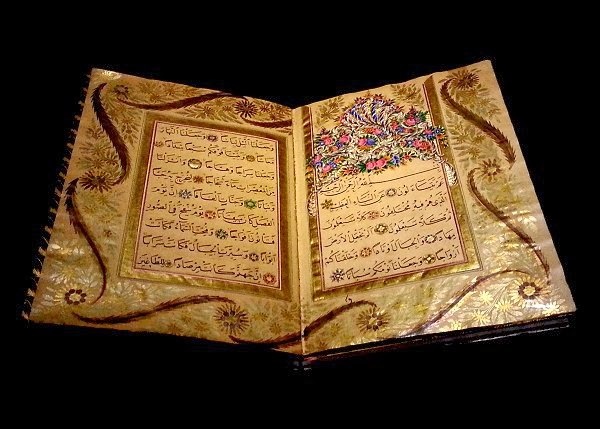 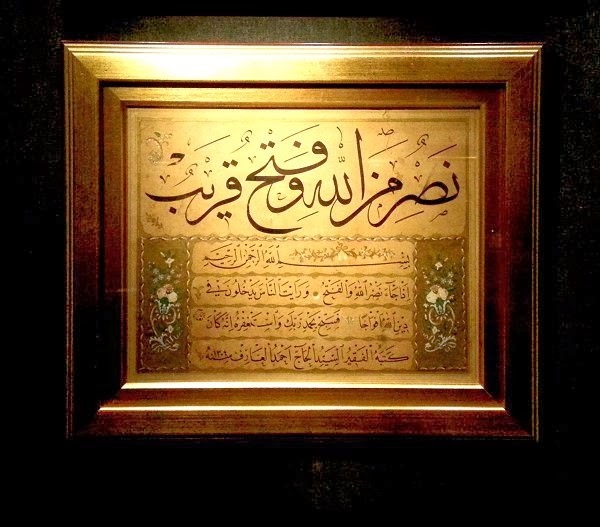 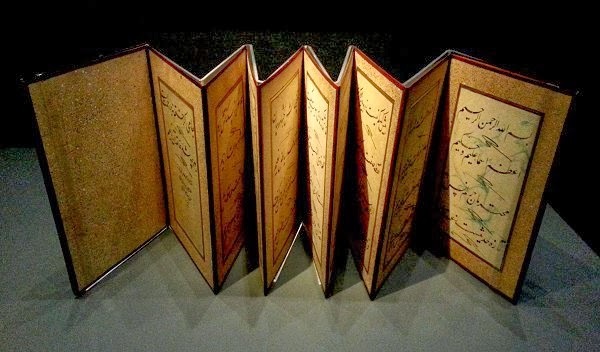 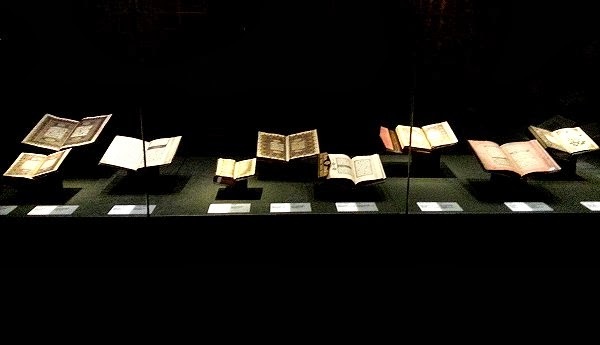 Sakıp Sabancı (d. 2004) started collecting primarily calligraphic works and illuminated Korans in the 1970's, and from from 1989 onwards, the collection was exhibited in major museums abroad. 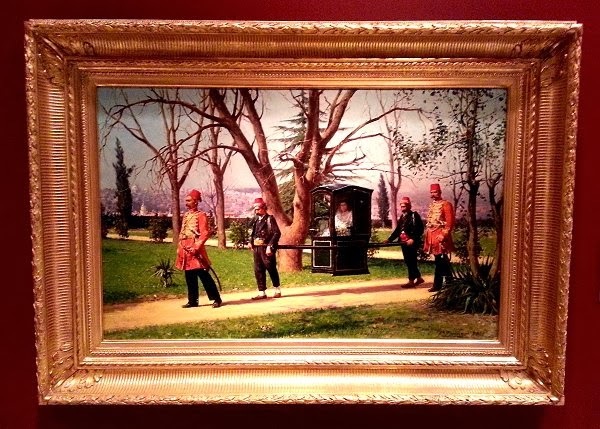 The keen interest that these exhibitions attracted cemented Sakıp Sabancı and his family's resolve to further enlarge the collection and encouraged the idea of ​​founding a museum here in Istanbul to house his collection. 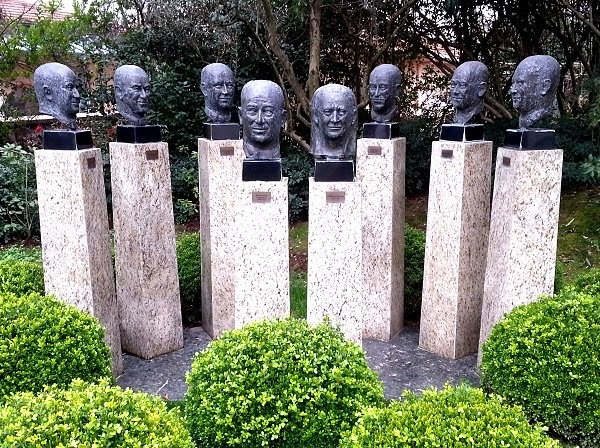 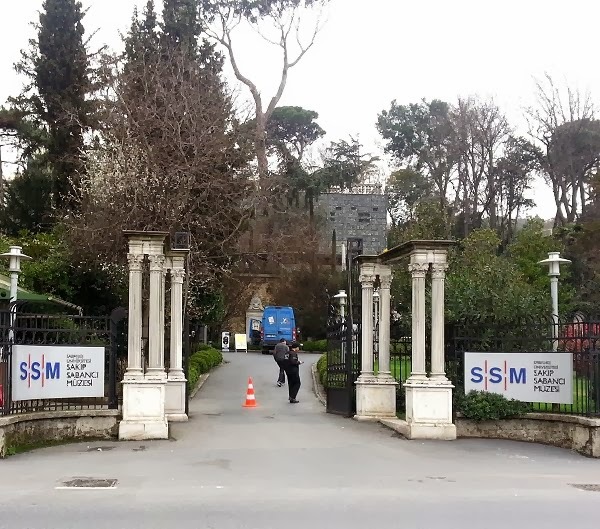 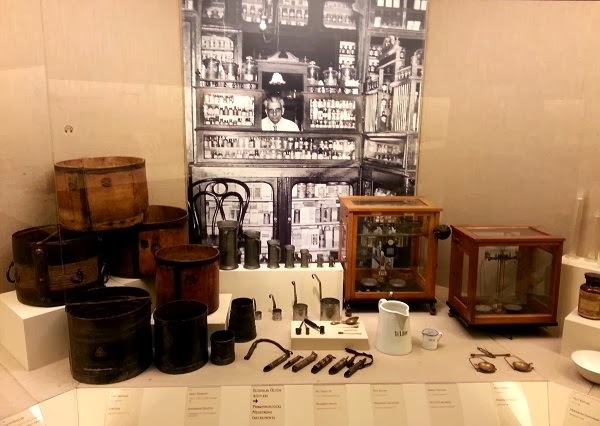 In 1998 the family mansion was handed over to Sabancı University for the purpose of converting it into a museum, and in 2002, with the addition of a modern gallery, the Sabancı University Sakıp Sabancı Museum opened to the public. 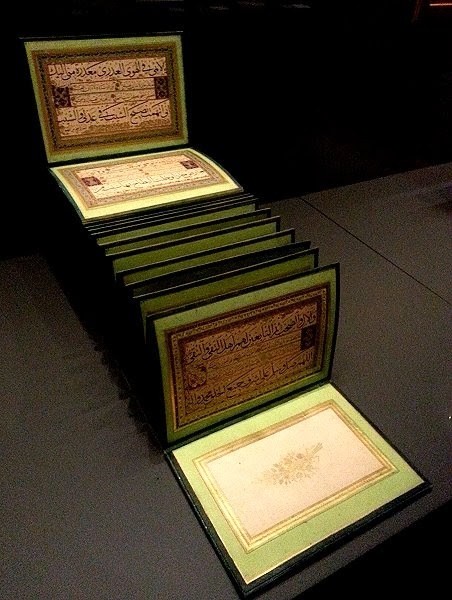 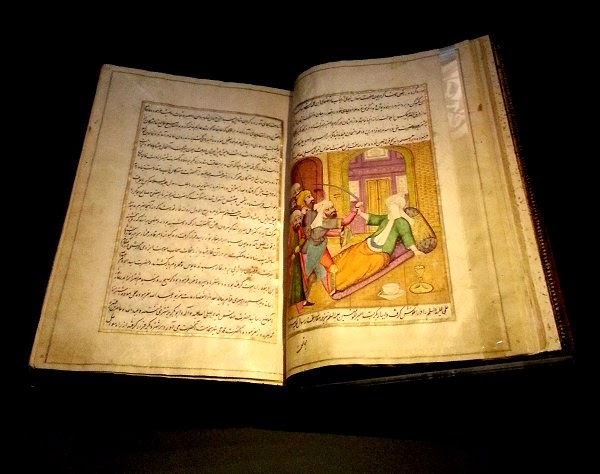 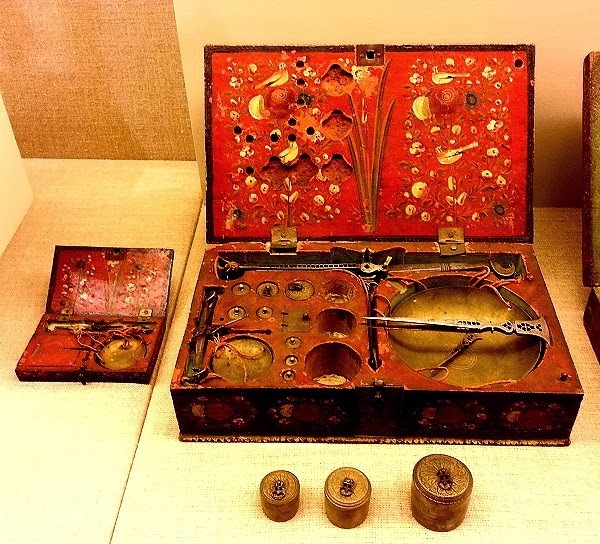 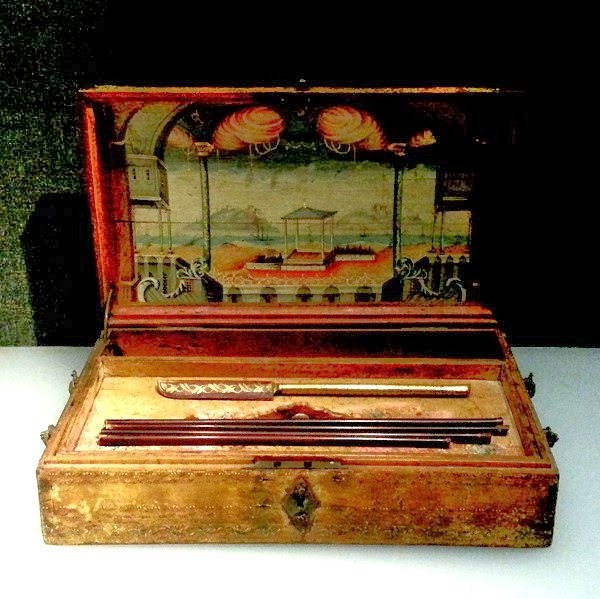 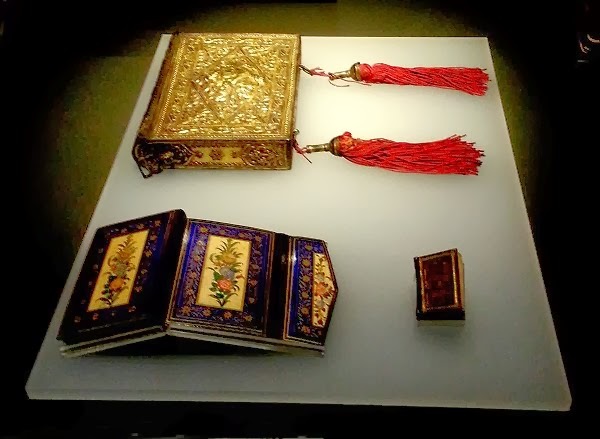 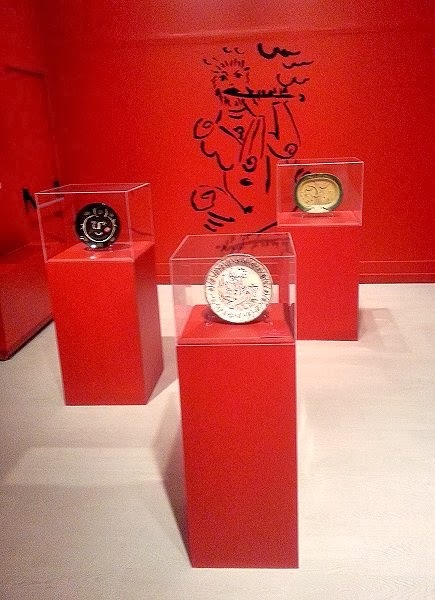 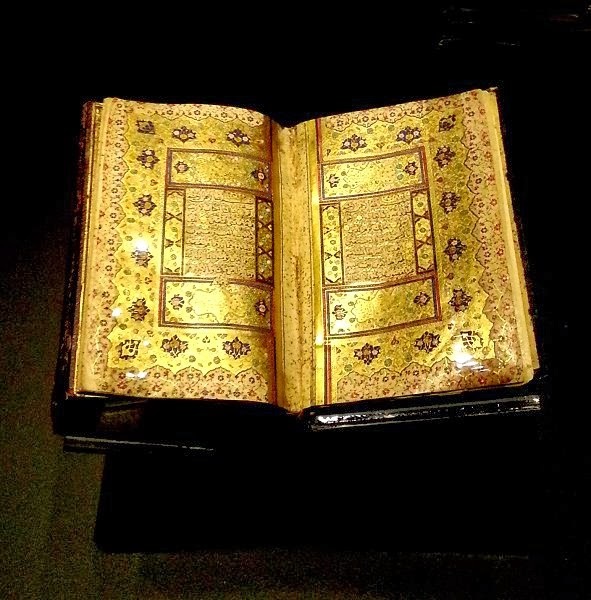 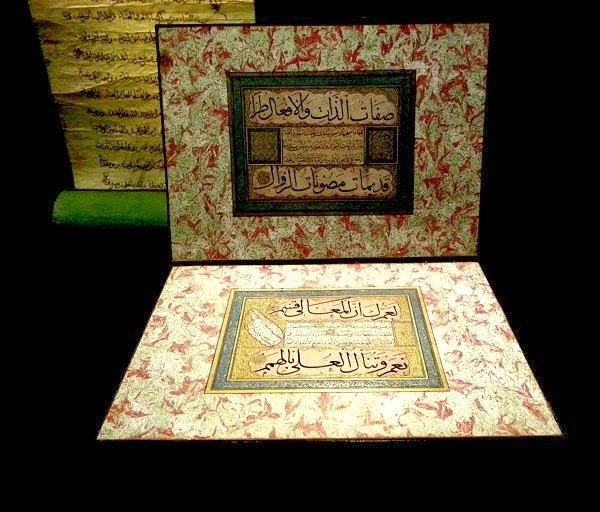 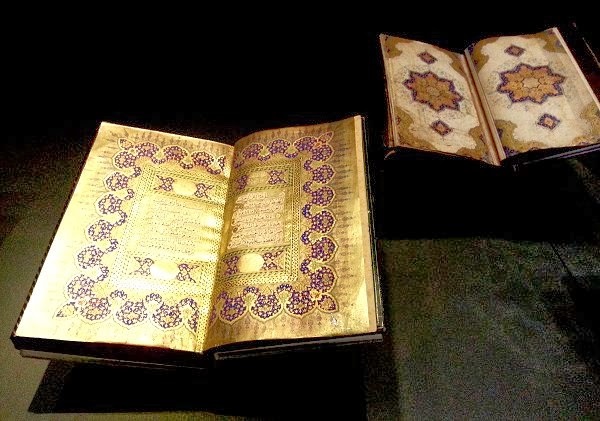 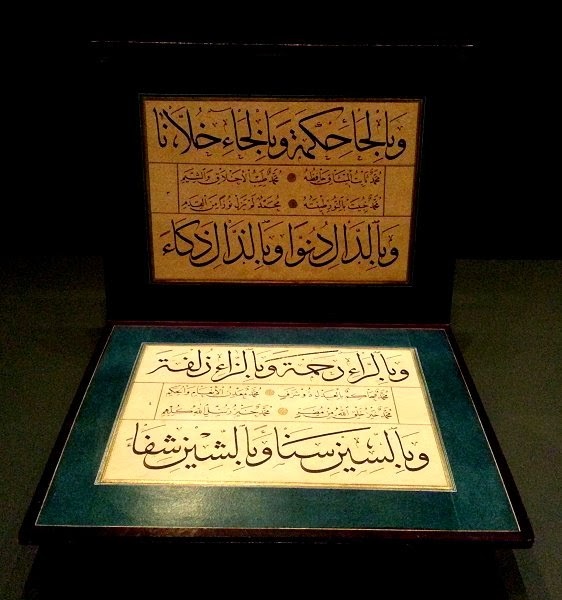 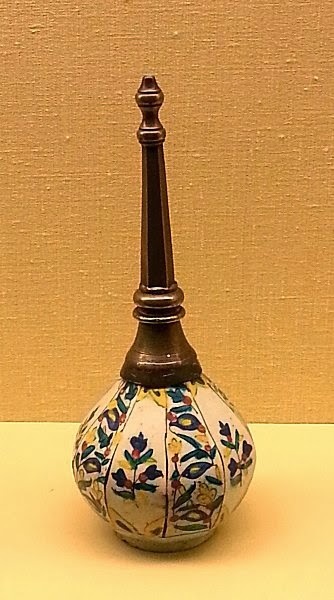 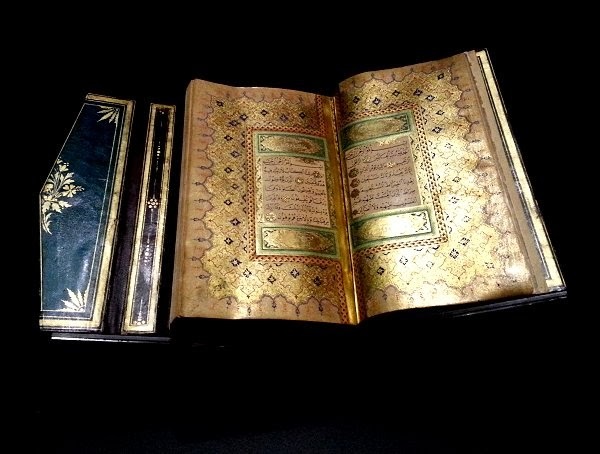 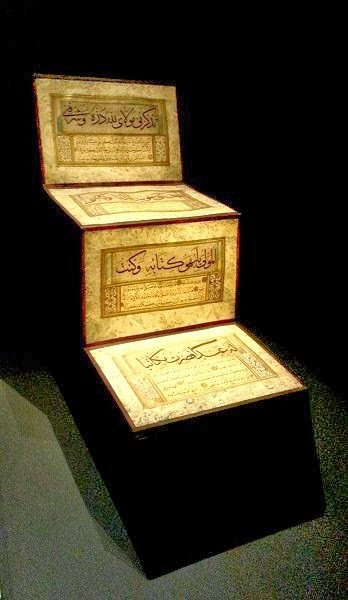 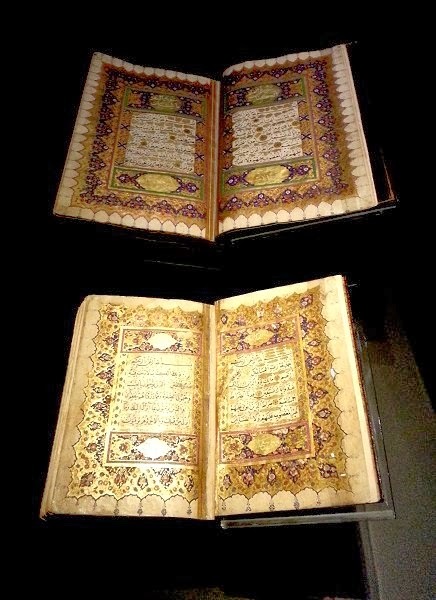 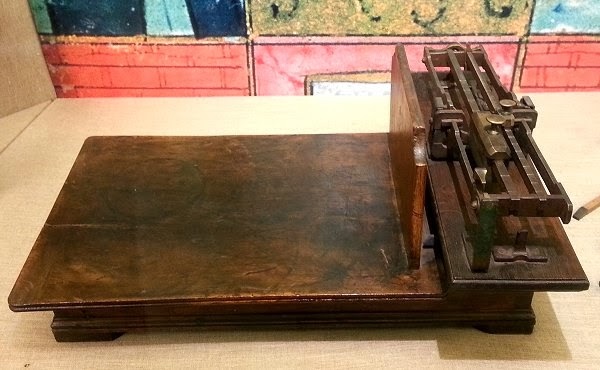 The exhibition spaces were enlarged in 2005, all with the international technical standards, and today, the Sakıp Sabancı Museum exhibits the Art of the Book and Calligraphy Collection using current technical innovations, and with this innovative stand Aims to inform the younger generation about this traditional Turkish art. 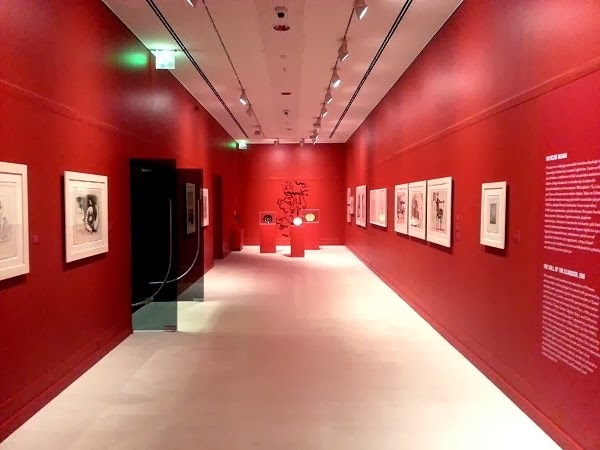 ( ... in fact during my visit to this wonderful exhibition, the only other museum visitors were a group of very enthusiastic primary school children ... ). 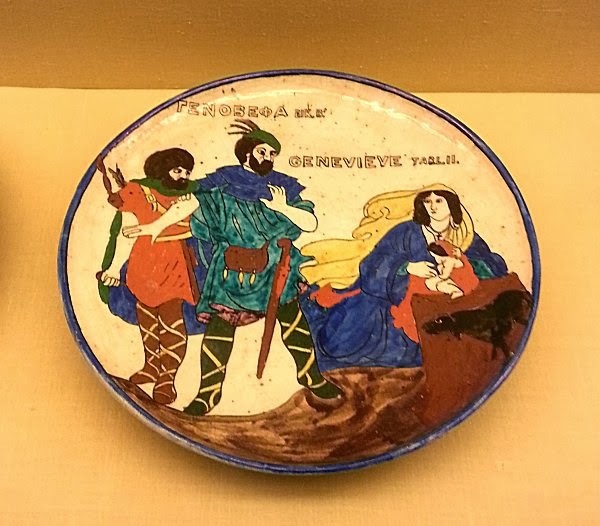 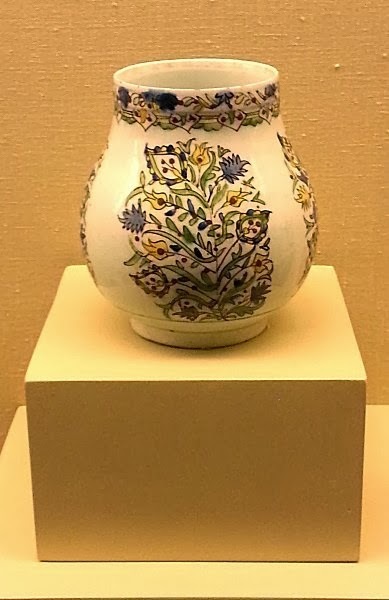 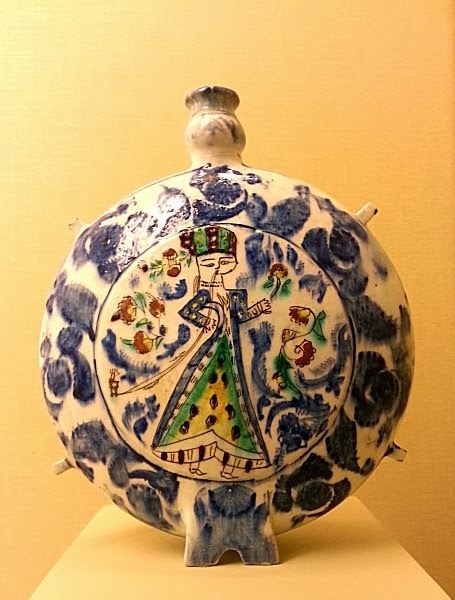 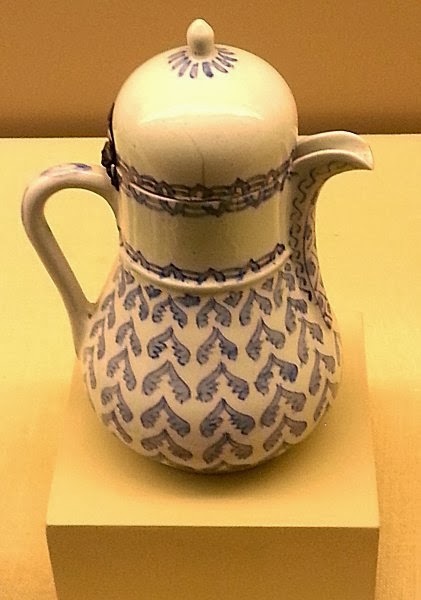 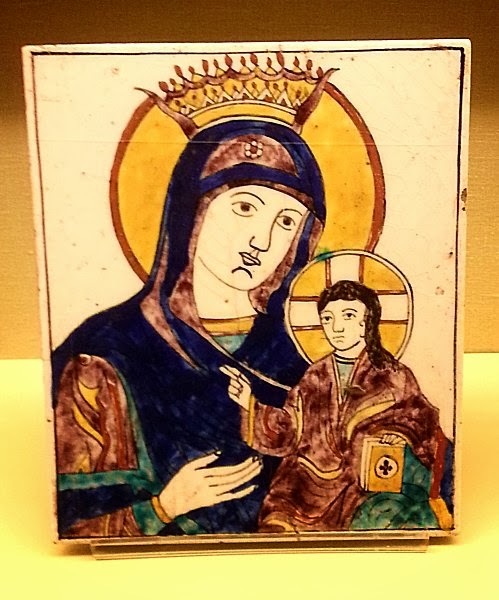 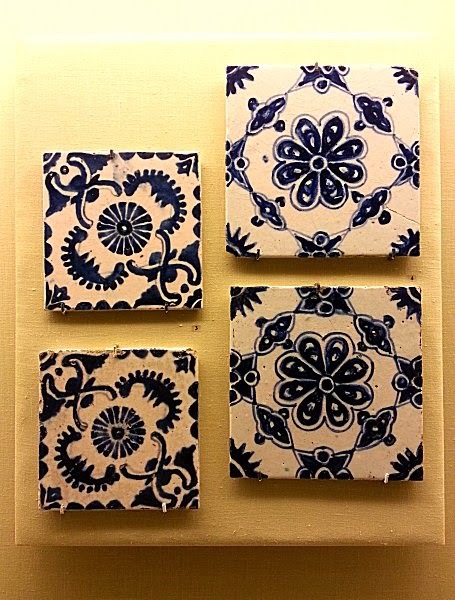 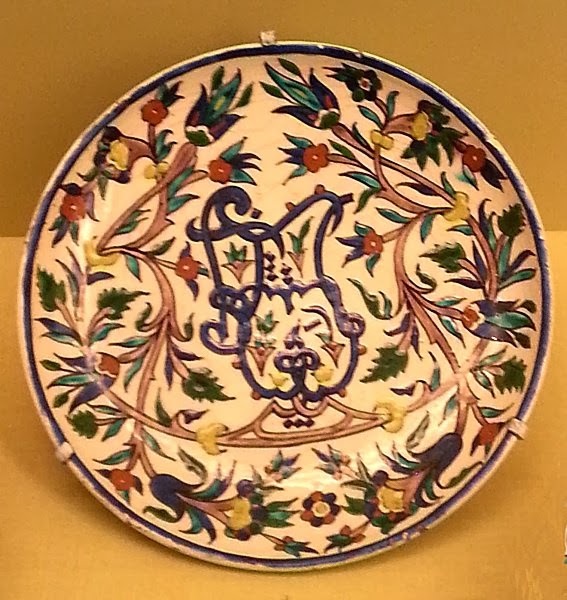 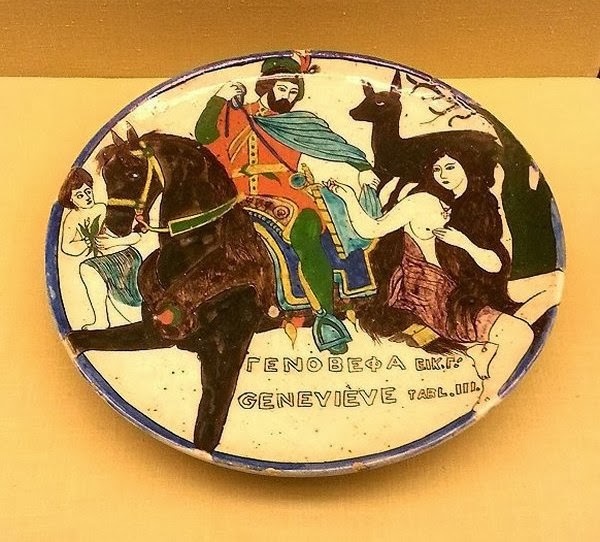 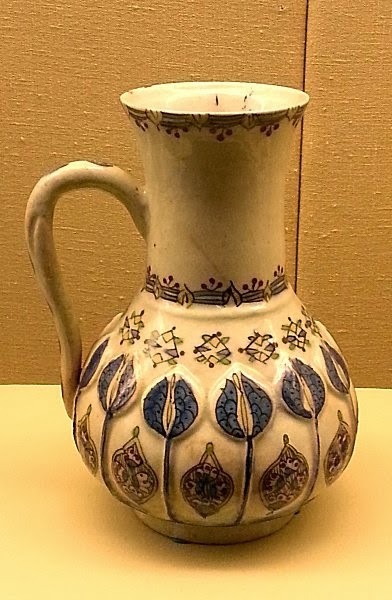 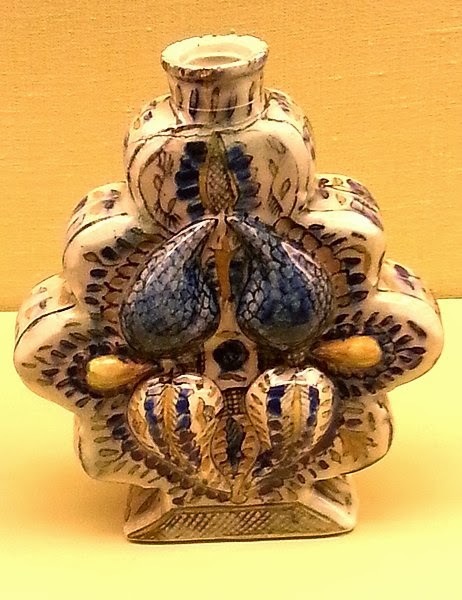 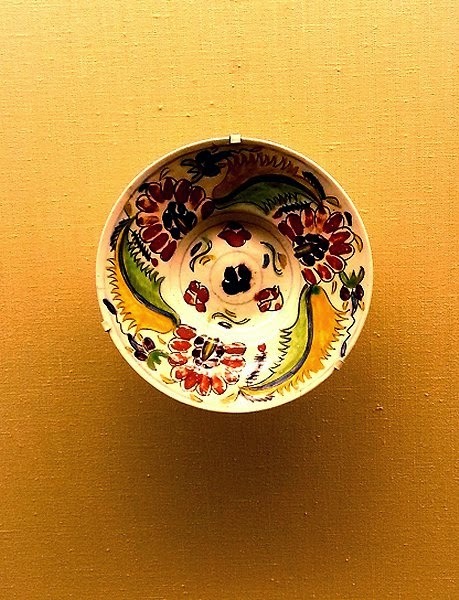 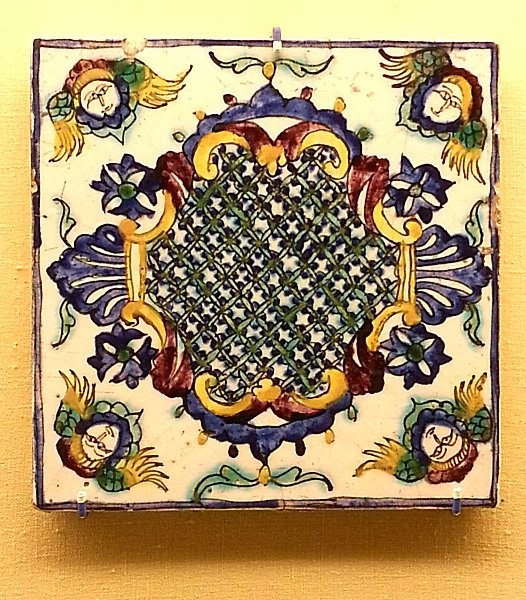 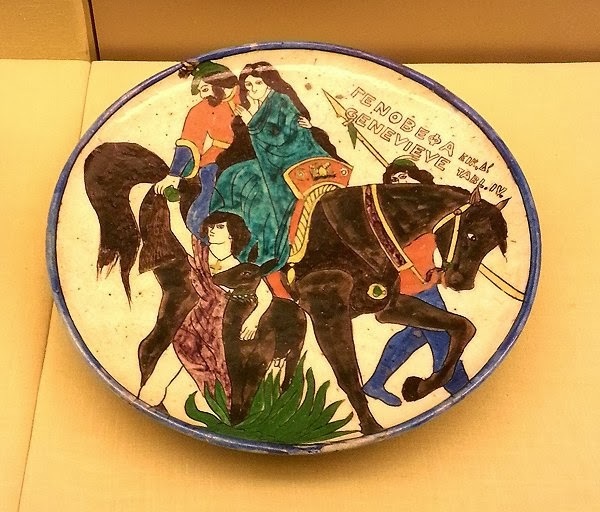 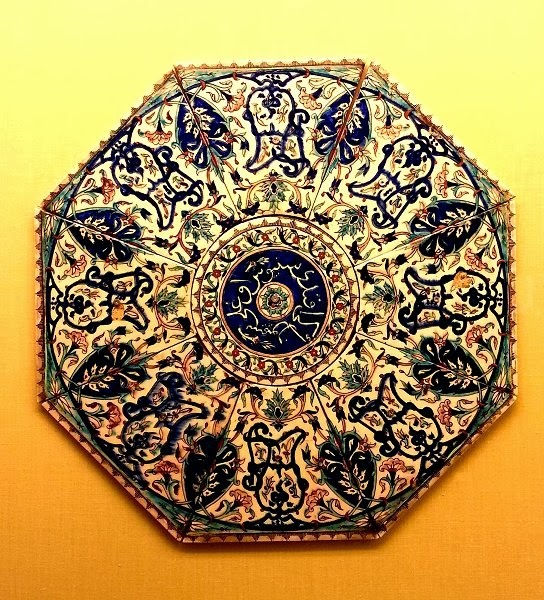 The Suna and İnan Kıraç Foundation's Kütahya Tiles and Ceramics Collection dates back to the 1980s, and over the years it has grown to become one of the most outstanding collections of its kind. 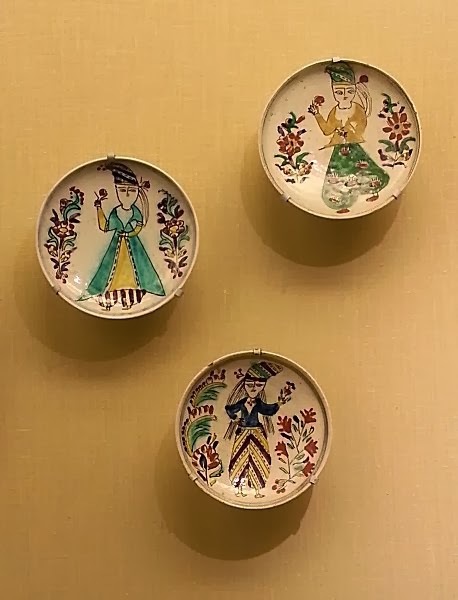 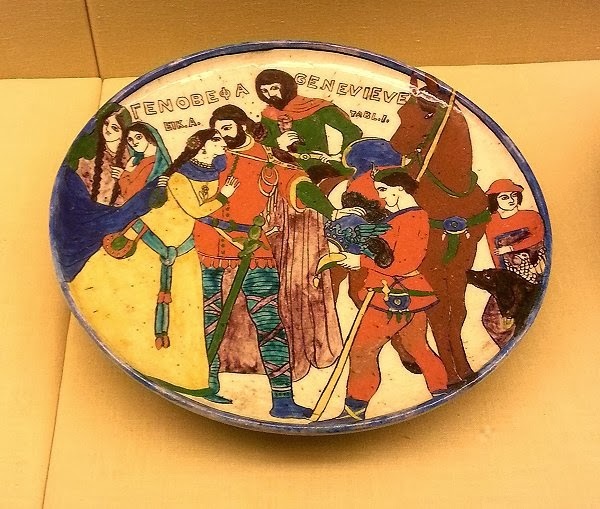 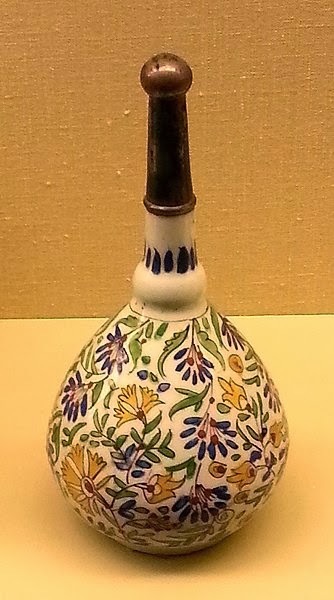 Today the collection consists of over 800 remarkable pieces representing various periods in Turkish history - especially the 18th - 20th centuries. 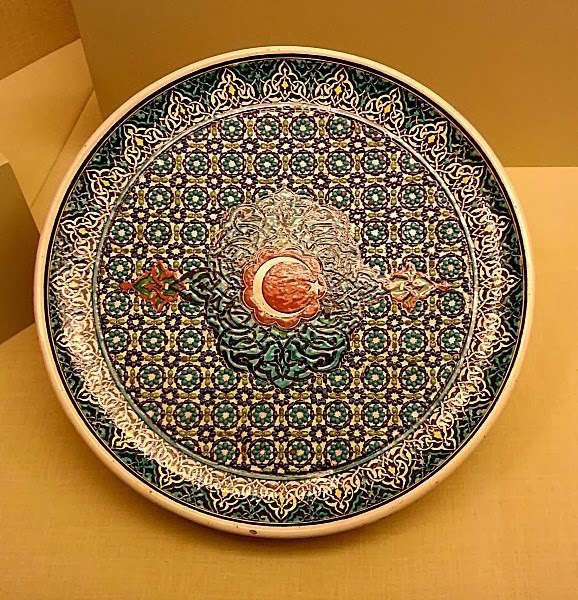 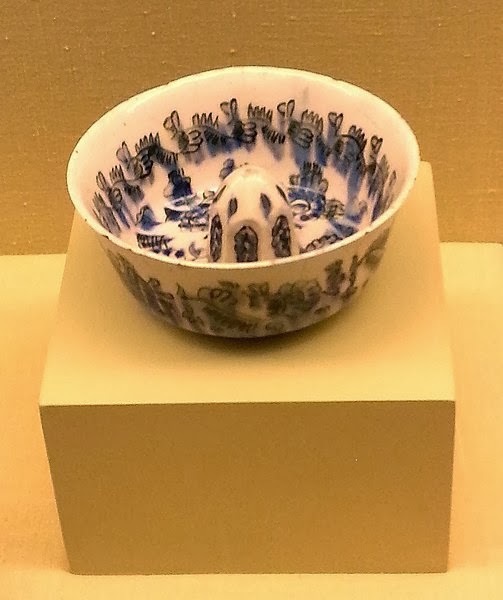 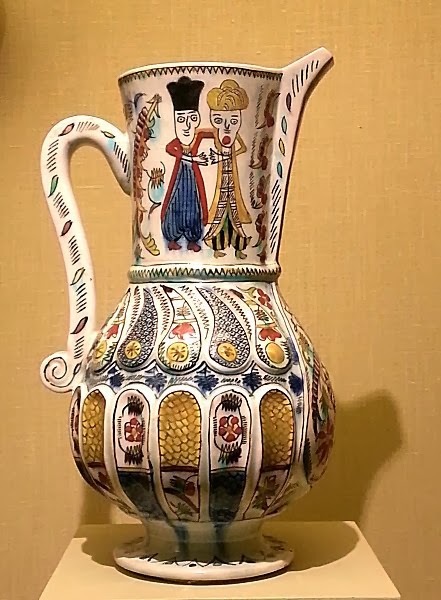 The limited number of pieces on display have been chosen to give a general idea of the collection and the craftsmanship of Kütahya ceramics. 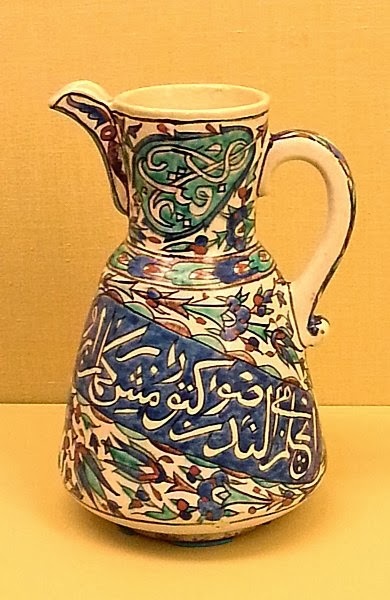 Kütahya is a inland city in western Turkey with a history of ceramics and tile making dating back to the 15th century when Sultan Selim I established the area as a centre for the Ottoman ceramic industry, producing tiles and faience for mosques, churches and official buildings in places all over the Middle East. 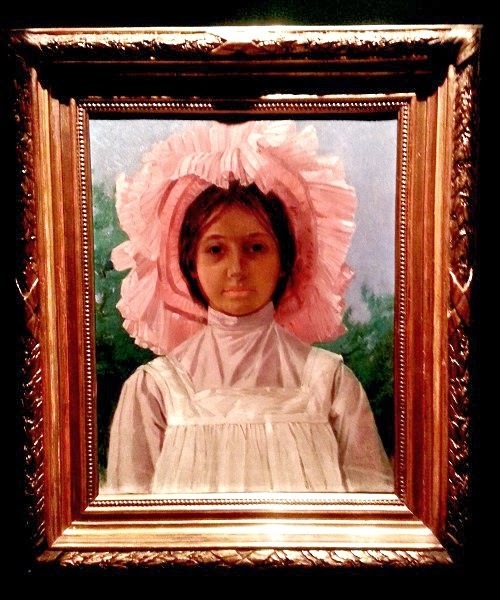 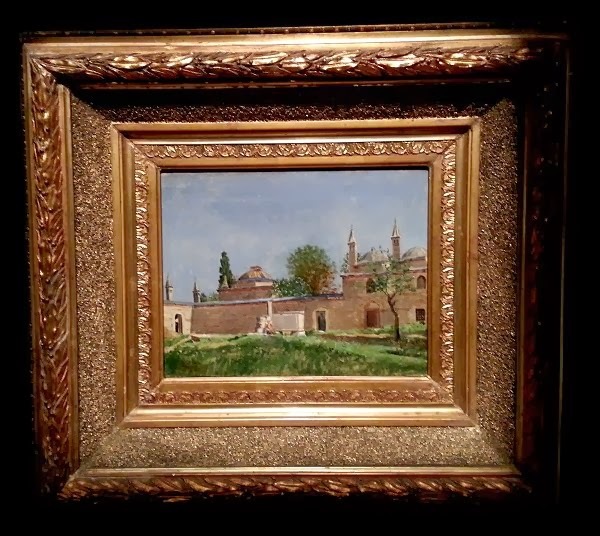 All artworks date from the late 18th + 19th + early 20th centuries. 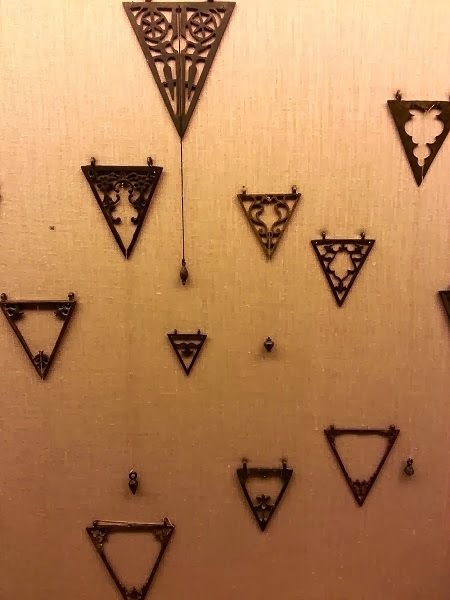 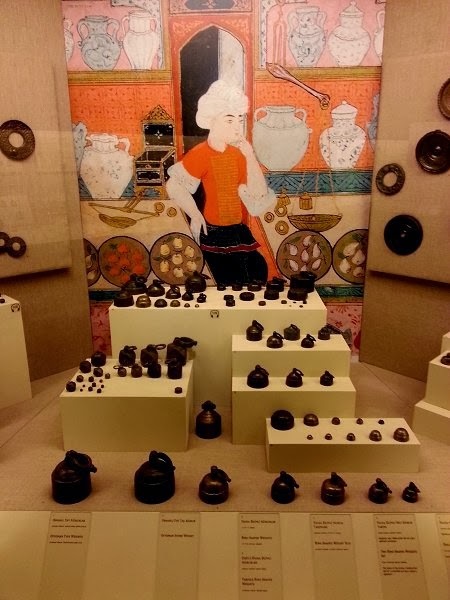 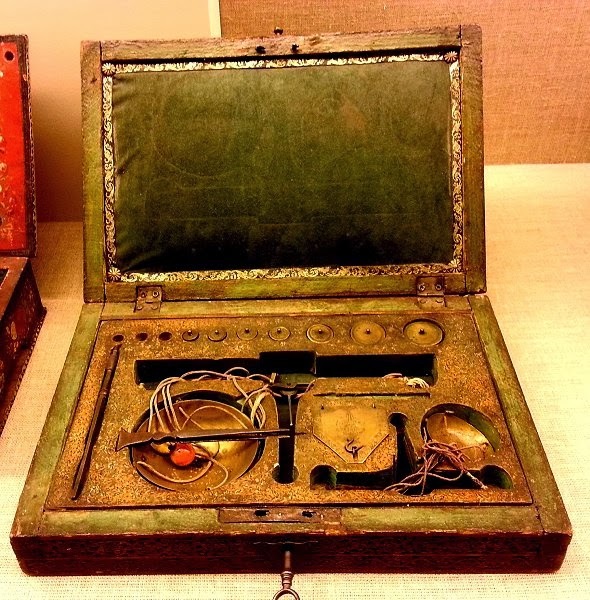 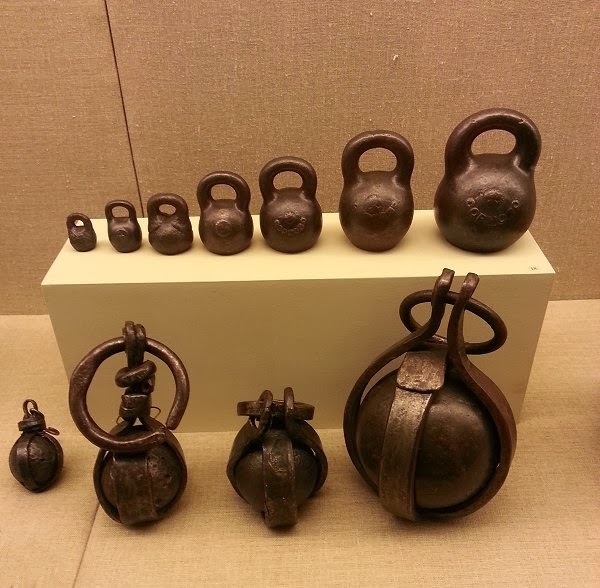 This interesting exhibition of Anatolian weights and measures collection is comprised of over ten thousand pieces. 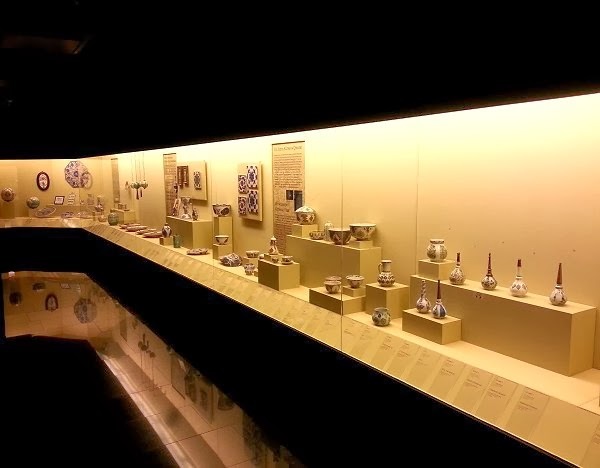 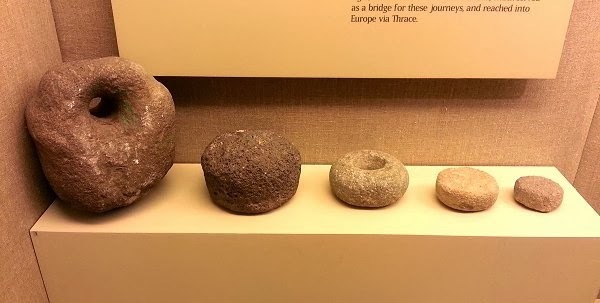 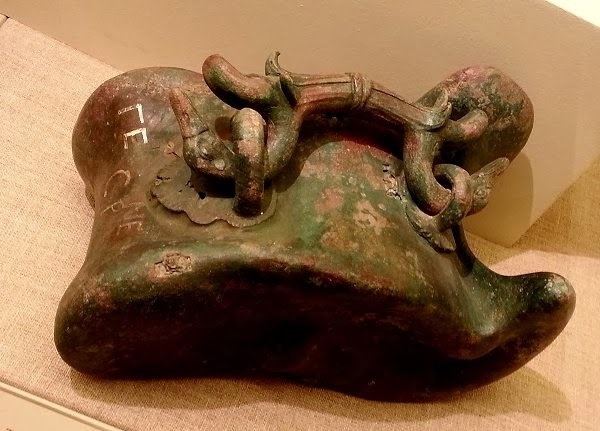 The collection consists of objects dating from prehistory to those used in present day Anatolia. 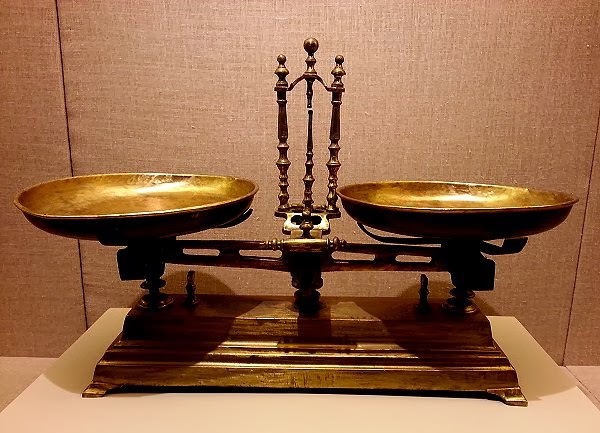 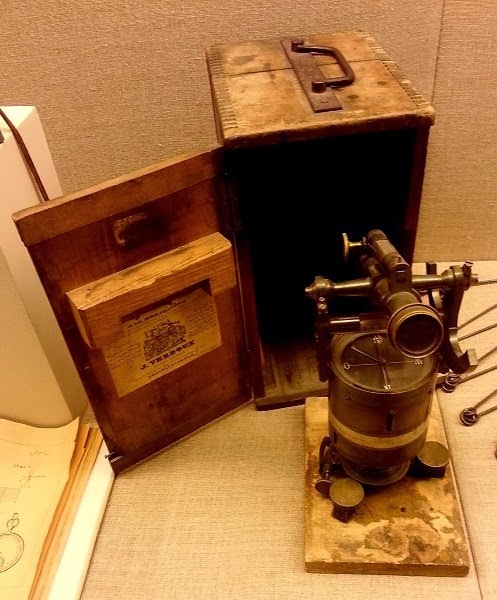 These consist of the main types of scales and measuring instruments, used for measuring weight, length, and volume in every field, from land measurement to commerce, architecture to jewellery making, shipping to pharmacy. 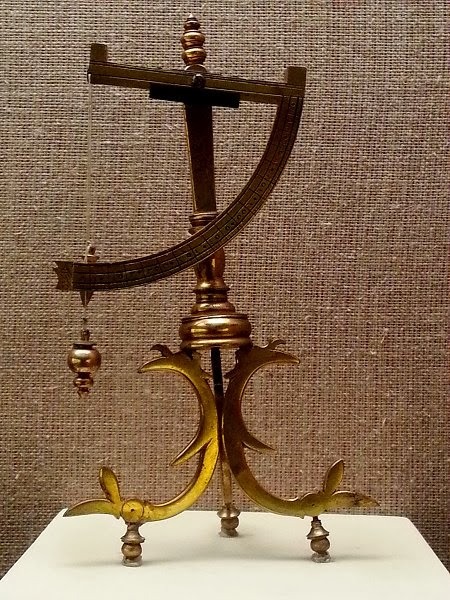 Bascule - 19th century ... weighing devise ???? 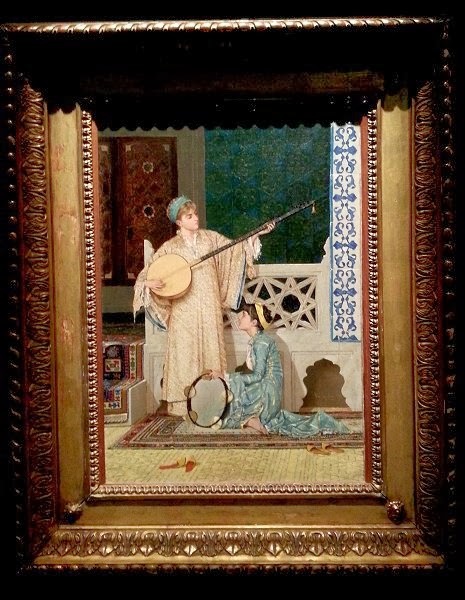 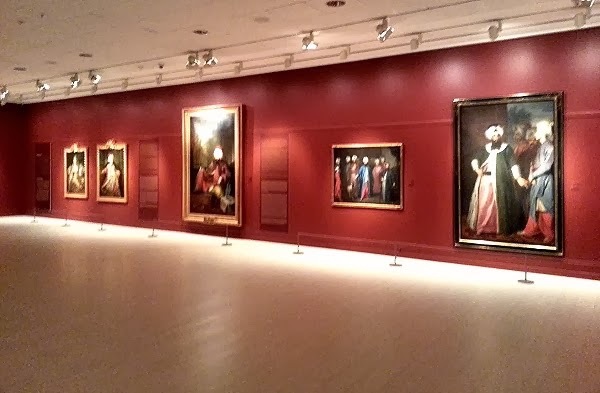 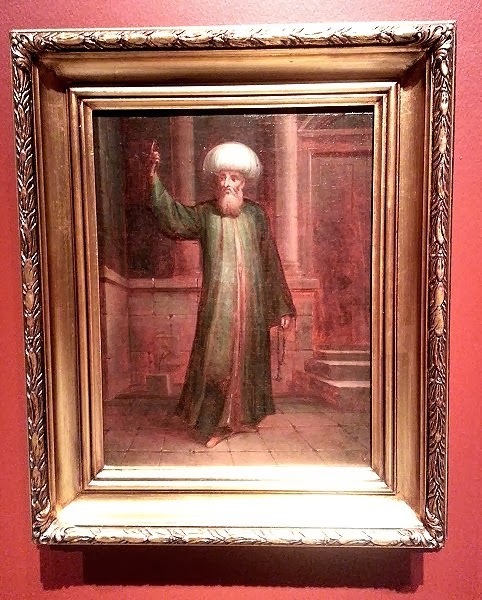 A beautifully curated and interesting collection of paintings inspired by the Ottoman world. 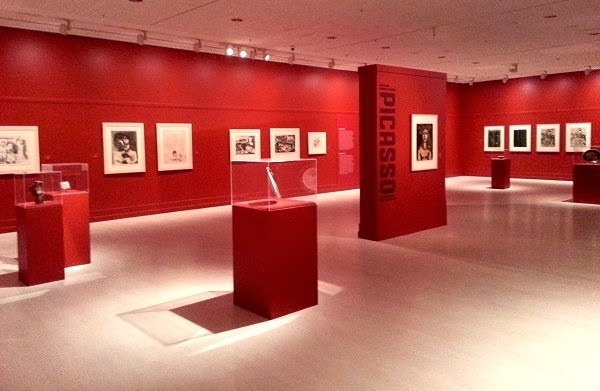 This exhibition - from the Picasso Foundation and curated by Mario Virgilio Montañez Arroyo - is a reflection of Picasso's world and his constant and never-ending search. 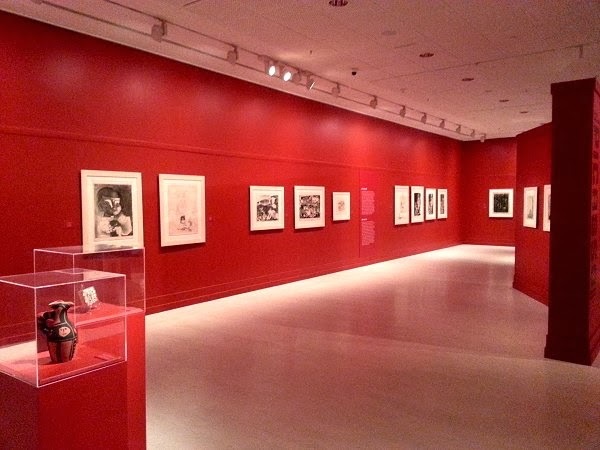 It catalogues the models, techniques, and styles of the artist between 1923 and 1969 - half a century of changing creation during which he combines and switches between Classicism, Cubism, and Surrealism. 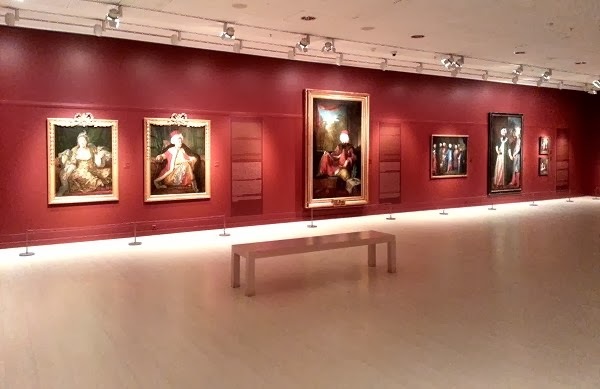 And so that was my visit to the fabulous Pera Museum - the gallery was practically deserted which made viewing even more pleasurable ... and so after coffee and cake it was back out into the wet wind ( straight off the Arctic ) and a brisk walk up a still crowded Istiklal Avenue to Taksim Square and home to thaw out in my centrally heated apartment .